We will always reflect the nature of the world we are most aware of. When we pursue kingdom principles above His presence, we are looking for the kingdom without a king. The purpose of God’s wondrous stories is to draw you into the passionate pursuit of more of His presence. Life doesn’t come from revelation, it comes from the encounter brought about by the revelation. Since you can’t imagine a place where He isn’t, you might as well imagine Him with you. It’s abnormal for Christians not to have an appetite for the impossible! In the Kingdom, peace is the presence of a Person. When our passion for God fails to find its expression in joy, it often finds it’s expression in legalism. God gives revelation to those He knows will do whatever He says. Live in such a way that unless God shows up what you’re attempting to do is bound to fail. This is the nature of the Gospel. My destiny is to go to heaven, my responsibility is to bring heaven. Only enduring faith has access to the wonder of compound interest as it pertains to the answer. [To see revival] we need to pray for breakthrough in private, but then take risks in public. Our hunger for revival must go beyond our desire for a move of God. Revival is the result of us hungering for God Himself. Fear often looks like wisdom to those in unbelief. You know your mind is renewed when the impossible seems logical. Anything you think you know about about God, that you can’t find in the person of Jesus, you have reason to question. The more we live as citizens of Heaven, the more Heaven’s activities infect our lifestyles! When He puts the resurrected Christ in you, He immediately expects you to conquer something. Don’t let what you didn’t get in your childhood keep you from what God provides for His children – a perfectly faithful Father. If you are confident in what God has called you to do, you will not be distracted by someone intimidating you. Faith is generated in the atmosphere of experiencing truth. There can be no authentic relationship with God for people who prefer a mediator over and above personal encounters. Increased dependence on His presence can only result in His supernatural invasion into your circumstances. Faith doesn’t deny a problems existence. It denies it a place of influence. Why do you think Jesus gave us a Comforter? He knew His ways would make us uncomfortable first. God is looking for the open door to provide His solutions for our problems. We open that door through prayer. Any revelation that does not bring us into greater encounter only trains us to be more religious. If you live cautiously, your friends will call you wise. You just won’t move many mountains. Many Christians miss out on God encounters because they are satisfied with good theology. Passion is the best motivation for discipline. Arrogance isn’t thinking too much of ourselves but thinking too little of others. Unbelief is safe, because it takes no risk and almost always gets what it expects. My heart can go where my head can’t fit. The farther you go with God the less you can take with you. It is inconsistent to have Jesus pay a price for healing and for us to believe it is not God’s intention to heal. We already have the sayings of God given to men of old by the Holy Spirit of God(which is also the Holy Spirit of His Son), so why would we even need the sayings of the man Bill Johnson? The bible has all the sayings we need to know and grow in God. 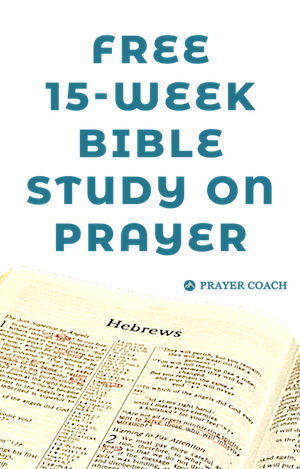 The Prayer Coach Blog has collected quotes from many people of God in hopes that it would be an encouragement in your walk with God. You can check the resource page for more quotes. I also add unique articles to help bring light of God’s love and desire for each of us. All of these resources are intended to be a supplement to the Bible, not a replacement. Personally, I would be careful with your reasoning. By your logic, we would not need the Holy Spirit because the Bible has all we need to know. But Jesus said He sent the Holy Spirit to remind us of all that Jesus had said. We are also not to give up on meeting together that we may spur one-another on to love. God has also given some to be teachers (what are they teaching if we only need the Bible). If you do not find these Bill Johnson quotes helpful to you that is one thing. If you can get all the encouragement you need from the Bible, that is also great. However, don’t neglect your need for others. God made you to need people, and others need the gifts you have. I don’t think so, Thomas. Bill has a wonderful way of simplifying complex stuff. Also, the Spirit of God is still given to men/women and still speaks through them/us. The Lord didn’t shut up after the bible was written. (My sheep hear my voice. )All blessings to you. Bill Johnson gives you the impetus to go hard after GOD to understand exactly what the HOLY SPIRIT wants to teach us in HIS word to cause us to live more fruitful lives; it’s like we need a driving instructor to properly teach us how to drive a car so we can drive safely and intelligently on our own – oh by the way – I am a driving instructor. Thank GOD for Bill Johnson. Thank you, Terry. I’m glad you enjoyed the quotes from Bill Johnson.